This sleek and exciting set features red and white printing on a black background. 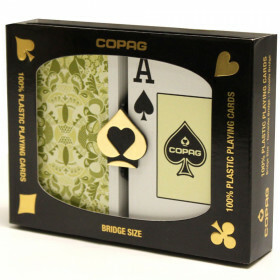 Instantly let your friends know they are in for something different, not their average card game or trick. 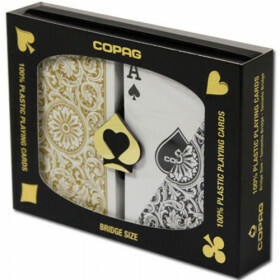 You'll get two decks of high quality COPAG plastic playing cards, brdige size (2.25" x 3.5") with jumbo index (larger numbers). You won't find many sets like this! 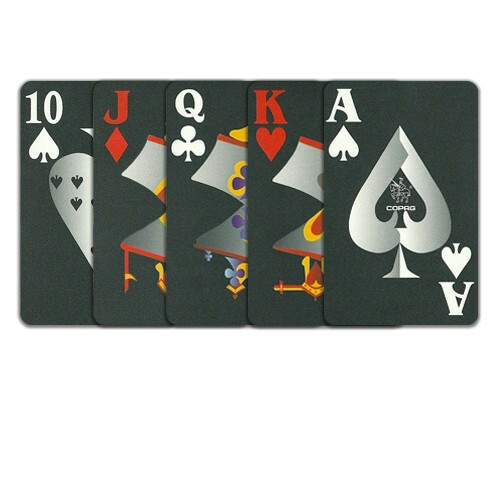 Your friends will be amazed when you pull out this incredibly stylish set of cards for your next game. 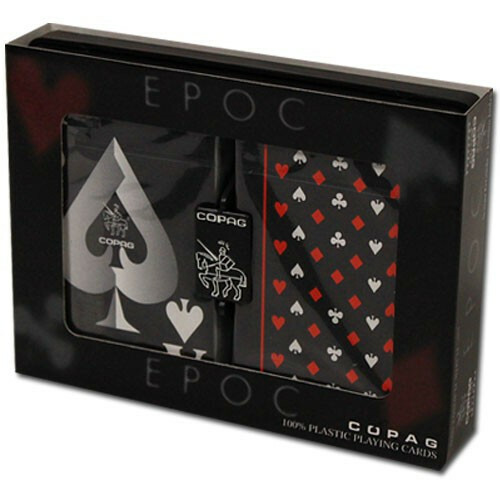 Create a special atmosphere for your next game with this unique black face playing card set from COPAG. 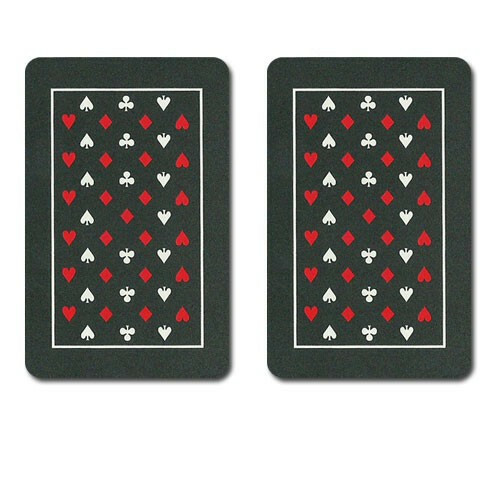 The cards are printed on a black background with red printing for hearts and diamonds and white printing for spades and clubs. You may never see another deck like it! Not only is this a great playing deck, it is also a great deck for illusionists. Put your friends into a trance with this incredibly unique look and they will be instantly in awe. 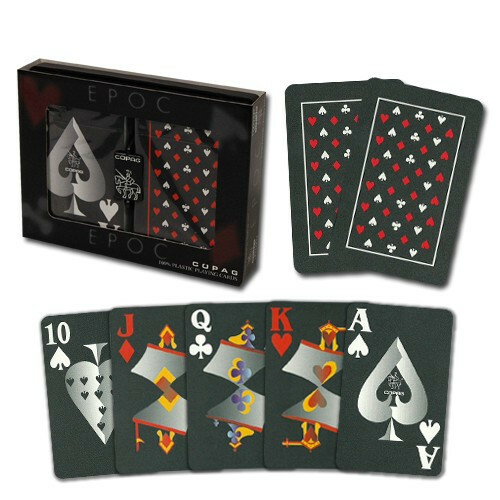 These decks fit in well with a macabre, black magic atmosphere and immediately set you apart from the crowd. 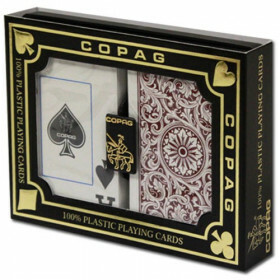 These are COPAG Cards, so you get the same quality you have come to expect from one of the world's most popular playing cards among professionals. 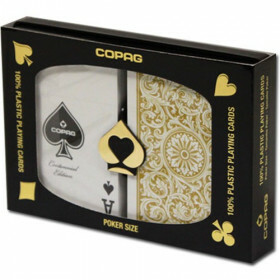 Casinos around the world use COPAG cards because of their durabilty, playabilty and value. 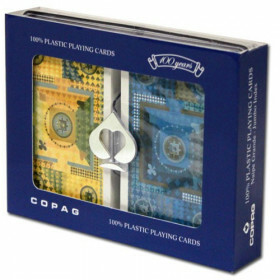 COPAG plastic playing cards provide the best value per hand played.